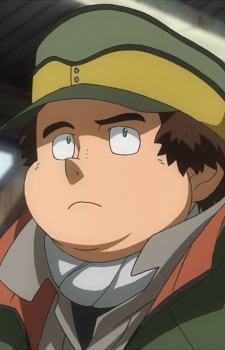 A boy who takes on the role of strategic advisor to Orga. Mild-mannered, his favorite hobby is reading. He enlists in CGS in order to support his grandmother and younger twin sisters. Having attended school, he is literate—a rarity among the boys. He was inspired by his older brother who worked hard to help feed him and his sisters after their parents died and wishes to be like him, wanting to make enough money so that his sisters can attend school.